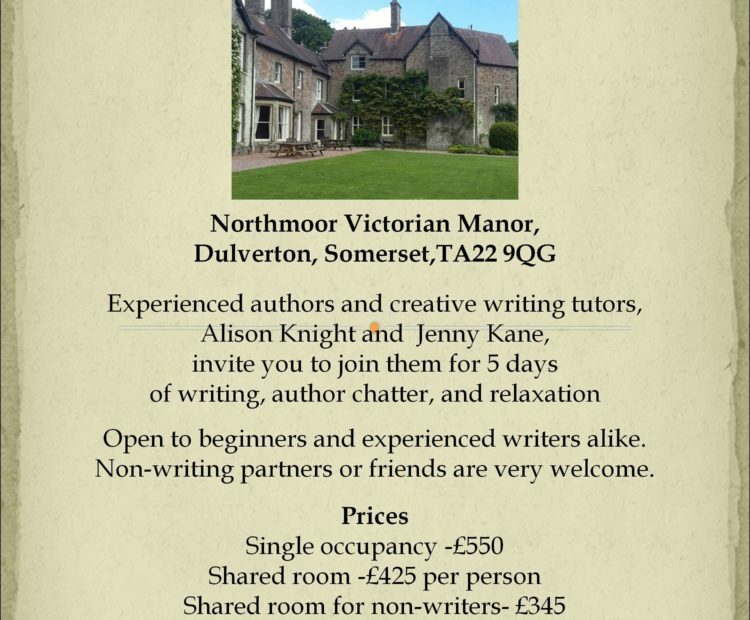 Join authors Alison Knight and Jenny Kane for a few days of writing, author chatter and relaxation in the splendid Northmoor House on the edge of Exmoor. This Victorian mansion has many original features and is a perfect place to write. Open to new and experienced writers, non-writing partners also welcome. An early-bird discount of £50 is available on bookings made before 28th February 2019. Price includes full board but not alcohol (please bring your own). One to one sessions with Alison and Jenny are available. On Tuesday 8th October we will welcome novelist Kate Lord Brown as our evening speaker.